Can you believe that we're now in October? 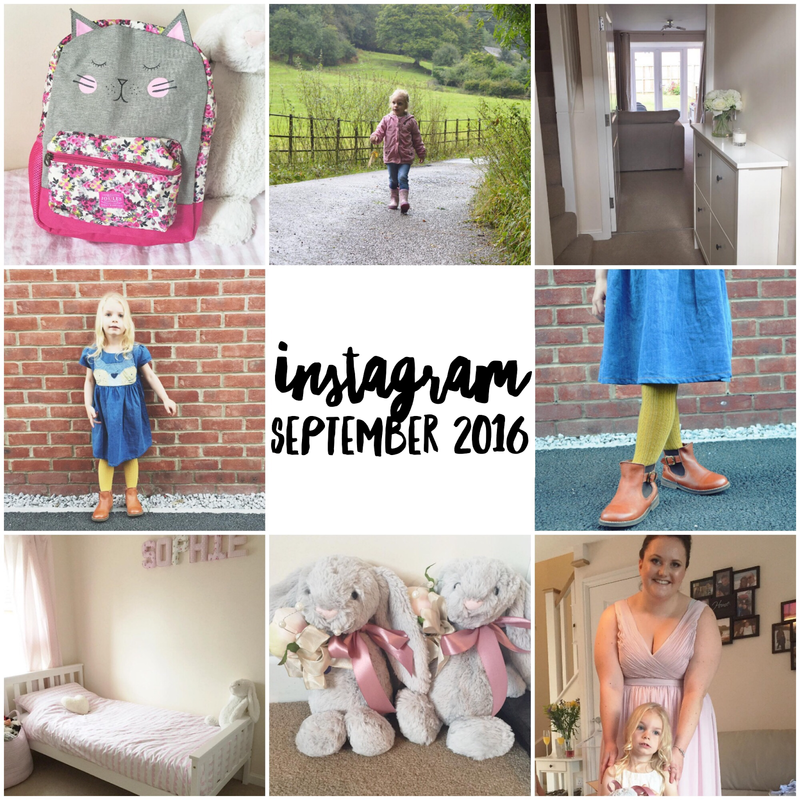 It literally doesn't seem like five minutes since I posted my last Instagram round-up, yet here we are! September was quite a busy, but exciting month for us, so I will explain more about each photo and what we've been up to recently! 1. I purchased this gorgeous backpack from Joules for Sophie as one of her Christmas presents and I love it! 2. I love this photo of Sophie exploring Grizedale Forest, you can read more about our little adventure here. 3. We took a trip to Ikea a few weeks ago and purchased this unit for our hallway, which is perfect for storing shoes. It's the little things haha! 4. I finally got round to purchasing this dress for Sophie (which was featured in my Next Girls AW Wishlist) and I think it really suits her. 5. I love this little pose! We went outside one evening to take photos as she insisted on wearing a dress! 6. I recently won a competition and a £100 Argos voucher, so we put it towards a new mattress for Sophie's new 'big girl bed', which she absolutely loves. 7. This week was the day of my Sister's wedding and these were the flower girls' Jellycat bunnies. They were gorgeous and such a lovely touch. 8. I was a bridesmaid and Sophie was a flower girl, so here we are just before we set off to the venue! It was such an amazing day! Don't forget to come & find us on Instagram and say hello! How did you spend your September?